A Skymax 127 Maksutov was mounted with an extra counterweight on an iOptron AZ GOTO mount. 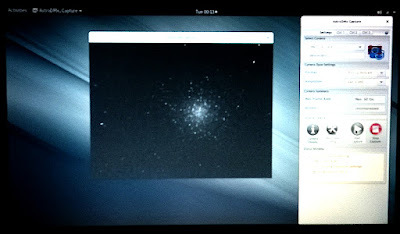 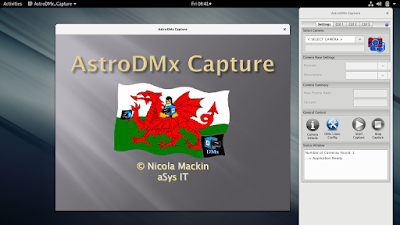 A DMK camera fitted with a 0.5 focal reducer was placed in the scope and 12 x 6s Tiff images were captured using Nicola Mackin's AstroDMx Capture software running under Fedora Linux. 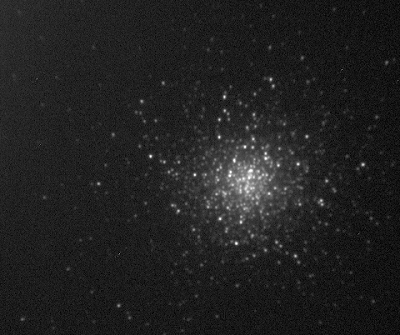 The images were stacked in Registax 5.1 running under Wine and the resulting 16 bit Tiff was post processed in The Gimp 2.9 which can work with 16 bit files.